Art Nouveau and art deco had the most beautiful intricate jewelry produced in my opinion. I guess because most of art nouveau was very feminine. Art Deco, feminine to angles, to put both mildly. 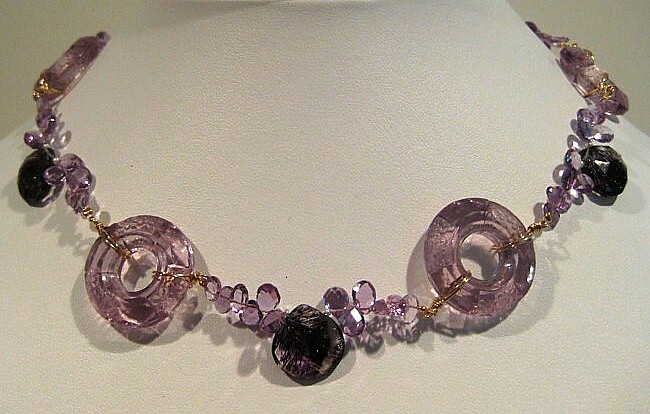 I found these art deco amethyst color donuts or rings, I had to incorporate these in my jewelry. I like the fact they have flowers which make them more unique. Some people say they are glass and some say crystal. No mold lines. Supposedly there is a test. Hold glass and then crystal to your face. One feels icy cold, crystal. Regular round faceted beads I have no problem telling the difference. The weight is there for crystal and the faceted beads seem more sharp. If anyone has any tips to share, I would appreciate it. 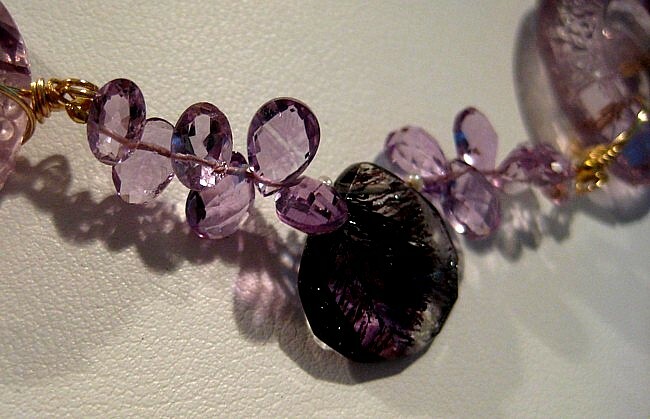 The Black Rutilated Quartz has purple mixed in. I had never seen this before. 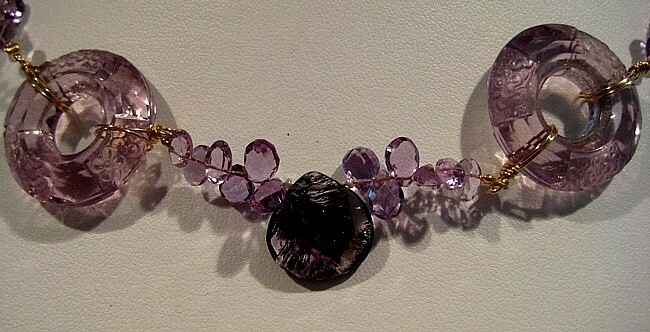 I thought this would blend in well with the Amethyst beads. It’s put together with gold filled wire wraps. In a way I think this necklace is a mix of old fashion and new.